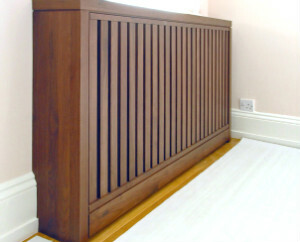 The radiator cabinets are the perfect solution for “hiding” the radiators if they don’t look good and prevent your children from touching the hot surface. Although it doesn’t look like a complicated task, the radiator cabinet assembling requires you to have an eye for detail so you avoid the heat loss problem, a lot of people, who have radiator covers face up to. All the necessary measurements will be taken. It is critically important to measure the depth, height and width of the radiator and add a few free inches. Considering the thermostat, the valves etc. is also essential. Then the materials, that should be bought will be discussed. Although most radiator cabinets are made of wood, you can opt for another preferred material – fiberboard, MDF, Veneered plywood – they have gained considerable popularity recently, plus, they are durable and aesthetically looking. The quality of the materials is critical for achieving the desired results. They should be kept in dry, cool places. If the main, reason for installing a radiator cabinet assembling is protecting your kids, let the technician know so they can ensure there are no sharp edges. Another thing that is worthy of mentioning is the sheet of grating that has to be installed. The heat from the radiator has to escape from the box so opt for a sheet of metal that has small holes in it. Every experienced technician would recommend galvanized steel so the heat will be radiated back to the room. The house owner has two options – choosing either an assembly that is either fixed or standing. The first alternative is said to be safer and therefore, more popular. Arranging a technician means that you don’t have to worry about anything – what you are required to do is to pick up the materials, discuss the design and leave all the rest to the professionals. The drilling, fixing and assembling will be finished in no time.